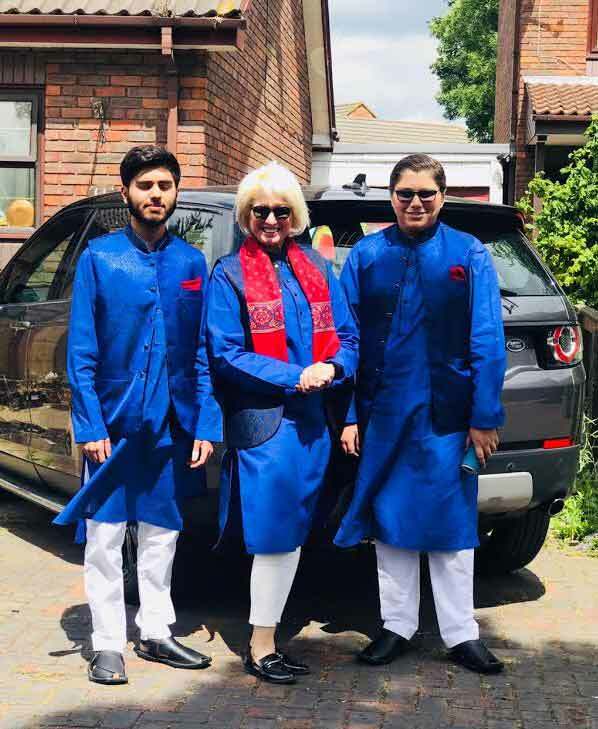 Zeeshan Zia Raja and her ex-husband Dr Nadeem Kiyani were married for 18 years – from 1999 to 2017 – but fell out over the management and running of a well-known schools network called American Lycetuff. CCTV Footage reviewed by this correspondent shows a motorcyclist dressed in grey reaching outside the home of Zeeshan Zia Raja in East London’s Beckton area and setting the Range Rover on fire while it was parked in the driveway. The arsonist then sped off from the scene leaving the car in flames. The police have confirmed that they’re investigating the incident with an open mind but Zeeshan Zia Raja says that she suspects her ex-husband was involved in the attack and she alleges that there is a history of dispute and serious threats preceding the actual attack. 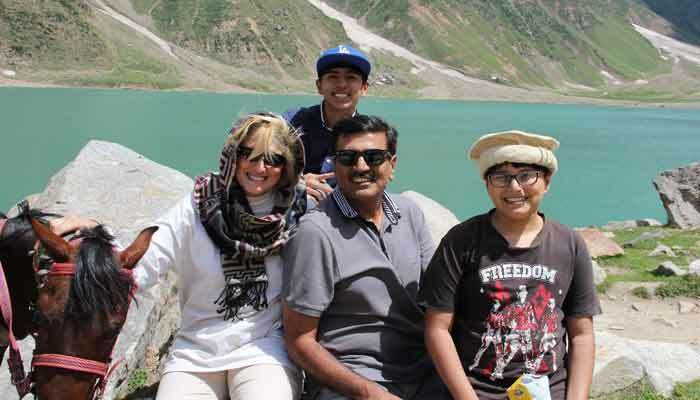 At the time of their marriage, Nadeem Kiyani was working as a Deputy Director in the Export Promotion Bureau of Pakistan while Zeeshan Zia was running her own schools. A doctor by profession, Kiani never practiced as a doctor but passed the CSS examination to become a bureaucrat of 23rd Common. After two years of marriage, he resigned and joined his ex-wife’s schools in Accounts & Administration. This was Kiani’s second marriage while he has a son and two daughters from his first marriage, named Aurangzeb Nadeem Kiyani, aged 28, Minahil Kiyani, aged 26 and Mishail Kiyani aged 22. According to Zeeshan Zia, things between the couple remained fine till 2015 when an argument between the two broke out over several unauthorized transactions and misappropriations of accounts. 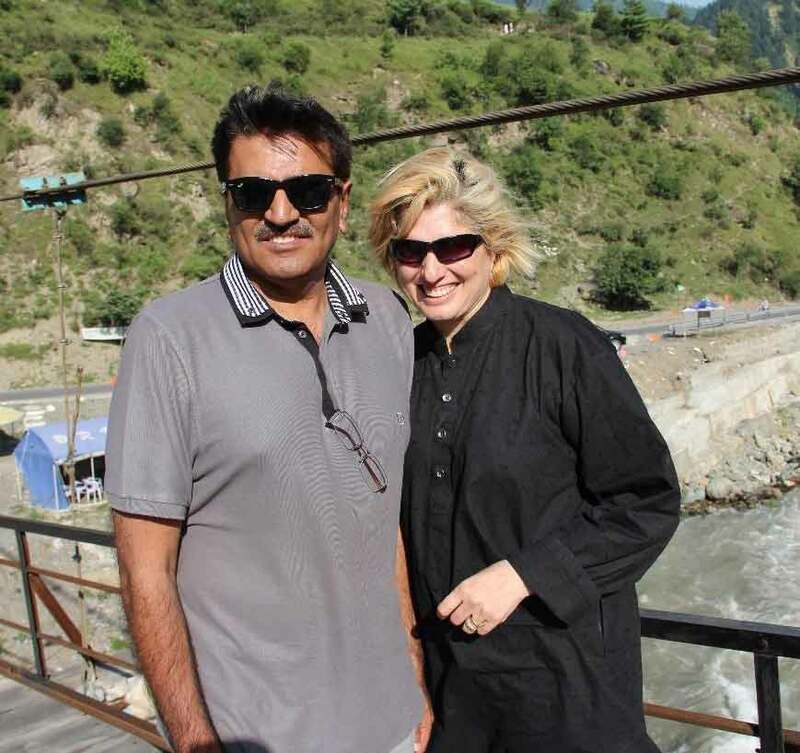 Dr Nadeem Kiyani is currently in jail and was not available to comment but Zeeshan Zia has told the police in London that she suspects her husband as well as her step-son Aurangzeb Nadeem Kiyani as being the masterminds behind this attack. The police said it’s investigating the case and has not found any evidence yet linking the crime with anyone. Dr Nadeem Kiyani is in jail after an inquiry by the Federal Investigation Agency which established that he was involved in various offensive activities in the confrontation of his ex-wife Zeeshan Zia. Papers show that the complaint with the FIA was lodged by Zeeshan Zia on July 2017 alleging that her ex-husband was involved in various offensive activities against her. The FIA’s Director Captain (r) Mohammad Shoaib, who conducted a fact finding enquiry, confirmed to The News that various offences were committed by Dr Nadeem Kiyani against his ex-wife including hacking of her emails, WhatsApp, bank accounts, Facebook; stealing her bank card pin and fraudulently making on-line purchases through Amazon.com, circulating degrading and obscene photo shopped pictures of herself to her family, friends and school employees to destroy her reputation; harassing his ex-wife in broad daylight and stealing her mobile phones, iPad and other belongings. He has also been found involved in fraudulent transfer of her school property in his favour by submitting fake documents before Intellectual Property Organisation (IPO) of Pakistan, Captain Shoaib confirmed. The FIA probed the case and seized various digital equipment including a laptop and mobile phones used by Dr Nadeem Kiyani and his son Aurangzeb Nadeem Kiyani to commit such criminal offences, he confirmed adding that the issuance of the order of the arrest warrant for Dr Nadeem Kiyani bearing No NR3C/FIA/HQ/2018/9629-31 was issued on 3rd October, 2018. Dr Nadeem Kiyani was arrested on the 5th October, 2018 but Zeeshan Raja says that Dr. Rizwan, Additional Director has been obstructing the case and gave him favour by releasing Nadeem Kiyani and the seized items. This was communicated to the Cyber Crime Head Office Islamabad by the said Cyber Crime Team Lahore with evidence of recordings of threatening and abusive messages of foul language by Dr Rizwan to his subordinates. Dr Rizwan rejected the allegation and confirmed that a complaint was launched against him but he gave answers to the appropriate command. Zeeshan Raja says that the FIA arrested Dr. Nadeem Kiani on the 5th October, 2018 and all the relevant material including mobile, laptop etc were seized on the same day but were handed back to the accused at the time of his release. She says that had to plead before the FIA that the law was violated in the release of Nadeem Kiyani and only after a lot of protest - and complaints lodged with the Additional Director FIA Islamabad, Capt Shoaib - that Dr Nadeem Kiyani was again arrested on the 13th October, 2018 and has been in Lahore Camp Jail jail since then. On Friday, Additional Session Judge Lahore Ali Raza rejected post-arrest bail application of Nadeem Kitani and noted that the FIA investigation had gathered "incriminating evidence" which prima facie connects Nadeem Kiyani with the alleged crimes. The judge write: "The allegation of uploading sexually explicit image/photograph of the complainant is more than the shame and shock which one might feel when one discovers herself to be the victim of this crime." A family court in East London in a ruling on 1st August 2017 ordered that Dr Nadeem Kiyani shall “not return to, enter or attempt to enter it save for the purpose of spending such time with the children of the parties as may be agreed between the parties in writing or as ordered by the court”. Zeeshan Raja’s lawyer Barrister Waheed Rehman confirmed that he will be taking up the findings of FIA Pakistan with the cybercrime agencies in Britain. He said that it has been proven that Nadeem Kiyani and his son Aurangzeb Nadeem Kiyani committed cybercrimes in UK as well through hacking of emails, Facebook, Natwest bank account, misusing Natwest card of Zeeshan Raja to buy unauthorized things from Amazon etc. In addition he has been continuously harassing her kids and her team in UK who are taking care of her kids in her absence. Zeeshan Zia and Nadeem Kiyani reached to the UK in 2014 On Tier 1 visa and set up a child care nursery which is no more operational. There are over 50 cases in different courts in Pakistan including the Civil Court, Session Court, High Court, Banking Court and FIA.